IGNOU Result 2018 – IGNOU has released the Term End Exam December 2018 Result on the official website, www.ignou.ac.in. The University had conducted the Term End Exam from December 01 to 31, 2018. Students appeared for IGNOU TEE Dec 2018 can check the IGNOU Result through the link provided on this page. To check IGNOU Result Dec 2018 students 9 digits enrolment number is required. Students shall be declared to have passed the exam if he/she secures minimum qualifying marks. After the declaration of the result candidates will be able to apply for the revaluation of the answer script. Check the page for IGNOU Result Dec 2018. Latest: IGNOU University has released the Revaluation Results December 2018. The University will release the grade card for the students who appeared in the term end exam. Students are also notified that the university will cancel the result of the students who are booked under the unfair means. Students must pass in both theory and assignment paper. The University also allows the students to write the improvement exam. Click here to check the revaluation result of the December 2018. Click Here to check IGNOU Term End December 2018 Exam Result. Click Here to check Revaluation Result June 2019. Note: Pending Results, will be uploaded shortly. Students appeared for the exam can check the result through the link provided above. Click the and enter the 9 digits (Numeric) Enrollment Number. Students can also follow the steps mentioned below to check the result. Note: The University will cancel the result of the students who are booked under the unfair means. Printed Details on IGNOU Result Dec 2018? Check the list of printed details available on IGNOU Result. 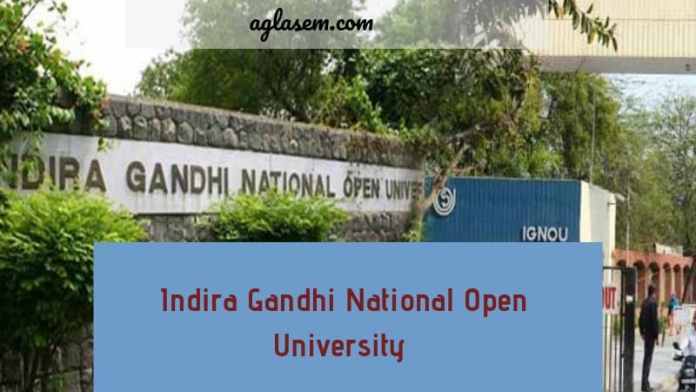 Indira Gandhi National Open University will release the grade card for the students appeared in the exam. Students can download the grade card from the official website of the university. To download the grade card students have to select the programme and enter the enrollment number. After the declaration of IGNOU Result 2018 students who are not satisfied with the marks/grade obtained in the exam can apply for the revaluation of the answer script. The revaluation is permissible for theory paper only. Students can apply for the revaluation within the one month from the date of result declaration. After the revaluation process is over the best score will be considered and updated in the student record. Indira Gandhi National Open University also conducts the improvement exam. The students who have completed the Bachelor/Master programme and wishes to improve their Division/Class can apply for the improvement exam. The improvement exam is permissible for the theory paper only. To appear for the improvement exam students can check the eligibility criteria. As per the norms set by IGNOU for the improvement exams, the students who have scored 2% marks less than the marks required to secure the first/second Division in Bachelor’s/Master’s programme may fill the improvement exam form. Similarly, students of Master degree programmes who have scored 2% marks less than the overall 55% requirement may also appear for the improvement exam. The university holds term end exams twice in a year. The first one happens in June and the second one is in December. Now that December TEE is over, next June 2019 Term End Examination will be held. IGNOU TEE June 2018 is expected to be held from the first to last week of June. Date sheet will be available by May. Admit card is issued a little while before the exam. Such students can appear for the term end examination whose registration for courses at IGNOU is valid and not time-barred. They must have submitted assignments by deadlines wherever applicable. Minimum time as prescribed by the university must have lapsed as per provision of the program. Examination fee must also have been paid. Result declared for IGNOU exams only if these conditions are fulfilled.